In the mid-1960s, affordable, single-use paper clothing enjoyed a burst of widespread popularity when it was introduced to an American market eager for commodities. 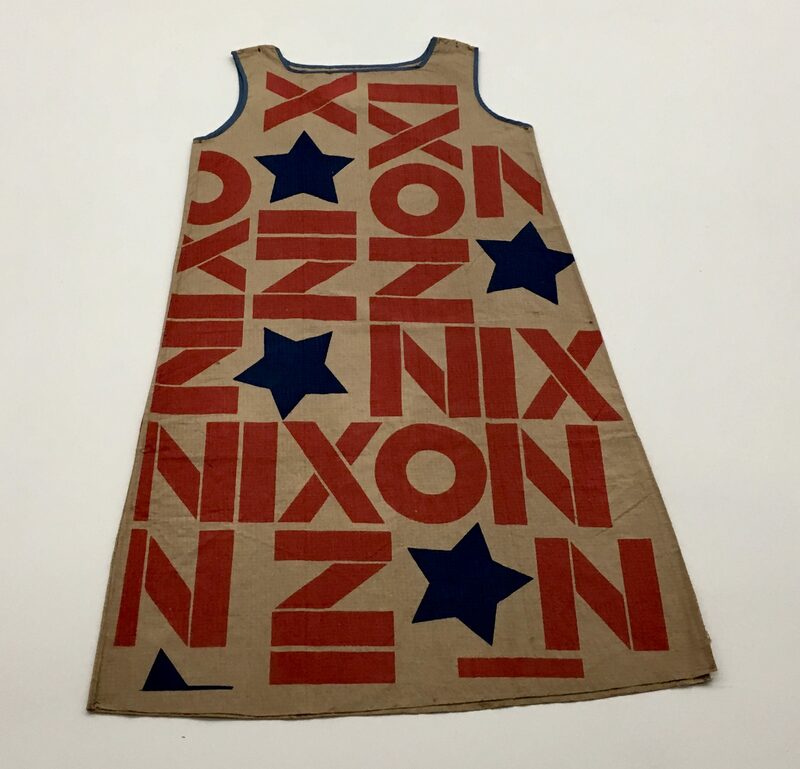 This Disposable Paper Dress was produced by the North Carolina factory of Mars of Asheville on the occasion of the 1968 presidential election. The surname of Richard Nixon is emblazoned across the garment in red uppercase letters along with alternating blue stars, transforming its wearer into a walking endorsement of the Republican candidate whose tenure as president would encompass the first man on the moon, the withdrawal of US forces from Vietnam, and eventual impeachment and resignation. Photographed in the Guggenheim Museum in Manhattan. ← Gramercy Kitchen: A NYC Diner With a Small Town Vibe!